To meet increasing demand for our bespoke Chauffeur Tour holidays, we are please to see the arrival of seven new vehicles for spring 2018. 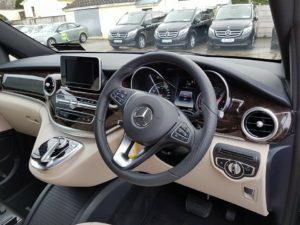 This extends our small to medium sized options using Mercedes S class saloons and Luxury 5 – 8 seater Viano’s to 15 vehicles in all. Perhaps the largest fleet in the region. 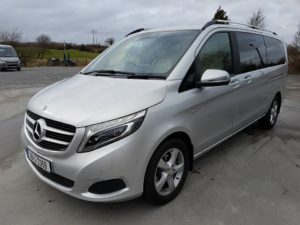 The versatility of using vehicles of this size in accessing the picturesque and remote corners of the Wild Atlantic Way, has proven exceptionally popular. Both the luxury and comfort provided to clients looking for a ‘cruise quality’ on a land based adventure is quite simply unmatched. With the re-opening of Adare Manor, which is local to Carrig Coaches, clients form all over the globe can enjoy tracing family roots, take a leisurely golfing holiday, and even explore the headland of Northern Ireland and the great City of Belfast, before heading back to explore Dublin. A quick call to our office can lead to some exciting ideas on how to get the best of your time in Ireland using the skills of our Bord Failte registered driver guides. 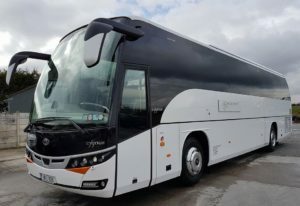 For those organising group holidays, for corporate or educational institutions such as Schools or Universities we have an unrivalled fleet of Executive Coaches, from 9 – 16 seater Mercedes Sprinters, to Mid range 22 – 29 seaters, plus Beaulas 40 – 53 seater coaches, indeed we have just taken delivery of a new 53 seater for this very purpose. Posted in Carrig Coaches News.